You needn’t despair any longer. Your cry for help has been heard―and you are not alone! If ever we needed supernatural help from Heaven, it is now. The world is in disarray. The Church is infected with the spirit of Mammon. Every day, people everywhere make decisions that adversely affect the destinies of individuals, churches, governments, and even nations. But there is good news! Heaven has sent The Answer―our supernatural Helper, Holy Spirit. The safety that’s available in perilous times. Knowing―really knowing―Holy Spirit will transform the course of your life. Get to know Him and you will bear more spiritual fruit than you ever dreamed possible! It has been my experience over the past 31 years to have lived and ministered in more than 13 nations of Southern and Central Africa. I have known Dr. James Repsold for almost 30 of those years. I first remember James as a student in Bible school, where I watched him grow from strength to strength in the things of God, the work of the ministry, and the message and power of Jesus Christ. Since then it has been a great blessing to see the work of the Church grow under his leadership, even while James grew in his anointing as a prophet of God. James has a great ability to hear the voice of Holy Spirit. He teaches, preaches, and ministers in Holy Spirit’s power with dynamic signs and wonders and healings. There is a very strong integrity in the Word of God that James lives and walks out in his daily life and ministry. There are many great orators in the Church today, but there is a decided lack of the simple Gospel of Jesus Christ demonstrated in miracle power by Holy Spirit. This book will open the eyes of your understanding to operate in and through the ability and power of Holy Spirit as He guides you into all truth and releases His abilities and gifts through you. 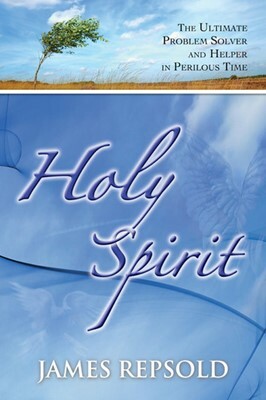 It is the perfect timing for Holy Spirit to be released. The world as we know it is being attacked on all sides by the forces of darkness. The wisdom and knowledge released through the pages of this dynamic book will transform your life as you understand and experience a new and intimate walk with Holy Spirit. Expect His power, answers, and solutions to the problems of life.